Anyone who’s ever planned a company’s booth or event participation has experienced the worry of not having enough visitors or being unsure about how to effectively capture enough leads. Truth be told, this is a challenge that most event exhibitors face. However, that doesn’t mean that you can’t overcome it or have event a few solid lead capture ideas to work with. After all, you’ve invested a considerable amount of money to attend your industry trade show, so nothing should be left to luck. The usual scenario is that most people put off planning for an event until the actual event date approaches. When that occurs, stress levels increase causing most to just hope for the best. However, if you’re serious about generating leads (as you should be), you need to focus on a pre-event promotion strategy. Creating an email inviting your clients and other attendees to your booth, as well as a social media plan, to generate interest prior to the event. This will help the attendees to know about the event in advance. It will also help you to spread the word about why visitors should make time in their busy schedule to visit your booth. Creating an outreach strategy is the essential first step in increasing your booth leads. As an industry leader in your segment, your booth needs to reflect your professionalism and unique value. Designing a sleek looking booth helps get the message across in a visual sense. Remember you only have a few seconds to make a lasting impression, so think creatively about how your booth design budget can really impress your visitors. That being said, keep it simple, clean and to the point. The graphics you use should reflect your values and company ideals. If you are trying to conceptualize what to include in your booth booths, think of questions that your attendees might ask and design your booth in a way that delivers answers to the key question that may arise. Since you’re responsible for the leads generated at your booth, data is obviously very important to you. Sure you can go with the traditional badge scanner, but then again that won’t really set you apart from dozens of other booths, will it? Also, simply scanning someone’s badge doesn’t really help qualify if they’re relevant for your business or not.  42GameChanger for example seamlessly blends event lead capturing and qualification. Our dozens of fun rewarding interactive experiences, built on our gaming engine are specifically designed for trade show lead generation and drastically change an organization’s event participation strategies. Trade Shows can be massive, and as such many people will skip your event booth. In order to draw them out, think of a unique process or activity. Just like you end your website copy with a call to action exclusive to your business, you need to have the same ‘Call to Action’ mindset during your event participation. While deciding on an intriguing activity to hook in attendees, think of what they would be doing while they’re at the event. The usual answer is that they’re rushing from one booth to another, between meetings, or presentations. This gives you a very short window of opportunity to grab their attention with an activity that’s worth their time, or at the very least leaves them walking away with extra value. For example, a person who is too tired after walking from booth to booth would love a cup of coffee or a place to sit. While other attendees are interested to be surprised or be part of an experience they otherwise wouldn’t have had the opportunity had they not stopped at your booth. Like it or not, your audience loves a good gift along with your textual materials. That being said, we’re living in the digital age, and a good gift doesn’t necessarily have to be a physical object. Sometimes the best takeaways are in the digital form, be it via pictures, ebooks, or games. As long as it delivers a small token of appreciation. In fact, most event attendees already have enough of the usual giveaways thrown in their bag. Delivering value will definitely set you apart from your competitors. One more thing you should remember while focusing on increasing your event lead generation is the effect of friendly, positive and helpful staff. You want the best representation for your company, and the best team players can do that. Look for someone who is ready to go the extra mile, is patient, cautious, assertive and an able communicator. If you can find all of those qualities in a single team member put them in charge of your team for that day.